Are you sitting on your daily commute thinking longingly about your next holiday? Are you filled with so much wanderlust that you've got no idea where to go next? Or have you got your next trip booked and in the bag and you're looking for travel tips and tricks to make it all go smoothly? 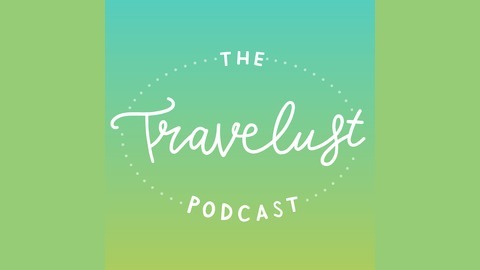 Then welcome to The Travelust - a podcast all about travel. Join me, Sam Sparrow, every fortnight as I chat to the people who have built their life around a desire to experience the world. As a travel blogger and wannabe professional city breaker I’m nosy, and we get deep into travel memories, favourite destinations and tips to make your next trip go with a bang. When you listen to this episode of the podcast, you'll realise how much fun Emma-Louise and I had recording it. As the longest episode yet, it'll take you through every emotion possible - laughing so hard you'll have to clutch your stomach, shock and awe and tears of both joy and sadness. In fact, after recording, it took me many hours to wind down as our chat left me thinking and feeling so much. But I digress. I'm talking to my long-time internet friend Emma-Louise Trotter from lifestyle blog The Life Edit. Based in Harrogate, we chat about how travel has been a part of both her most brilliant and most difficult memories, and as an amazing storyteller it will feel like you are right there with her. We talk about her early experiences of European camping trips with her parents (and the lost art of sending postcards), and how her Dad's death led her to travel more than ever before. As well as sharing stories from her travels in Dubai, Italy, France and across the USA, we talk candidly about mental health, and how Emma-Louise sees travel as her therapy. We also chat about how your Mum can make an excellent travel companion as you get older. For anyone who wants to get under the skin of why people are driven to travel, and enjoys a deeper discussion on the emotional side of seeing the world the is the episode for you. Emma is also a fantastic creative consultant, and you can find out more about her work and training offers too! Searching for The Travelust on Spotify! If you are an iPhone, iPad or iPod touch user, you can also listen to me podcast via their dedicated podcast app – download or stream on the go! Remember to tweet me at @SamRSparrow with the hashtag #thetravelust with your favourite travel tips and memories and your perspective on what we've discussed on the show, and check out the back catalogue of my travel chats with other incredible travellers! 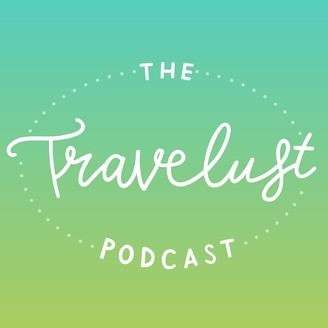 If you've enjoyed this episode, I'd love you to leave a rating and review on Apple Podcasts so that more people can be inspired to travel and develop that sense of travelust.